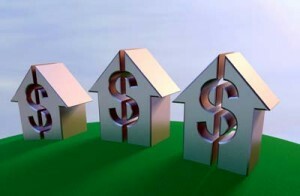 I can comfortably say that a primary goal of most real estate investors is to earn profits. It is after all an investment right? So, for buy and hold investors like Simple Acquisitions, we want to earn passive income from our rental properties. We perform our due diligence, run our numbers and figure out what the monthly cash flow will be. A secondary goal of many investors is to attempt to increase that cash flow even more. Cash flow is amazing, but if you can further grow that cash flow, that is doubly amazing. So what are some activities we can do as property owners to boost cash flow and maximize profit? If you want rental income then perhaps the most obvious is to reduce vacancies. Every month you have a vacant unit means lost rental income. You can’t get that money back. So, it’s extremely important to ensure your property management company has a high priority on keeping units filled with not only tenants, but good rent paying tenants. This needs to be a key role of the property manager. Tenant retention and turn over need to be high priorities. Many apartment buildings were designed with a single utility meter for electricity and water. When a multi-residential building has a master meter, the owner is responsible for the entire utility bill. I don’t know if you noticed, but utility rates are on the rise. Sub-metering allows owners to separately track and charge utilities to each tenant. Tenants pay for their own consumption. It’s shown that tenants who pay their own utility bills waste less water which is good for the environment. If your units are currently not wired for laundry machines, then installing coin operated washers & dryers on site is another plausible way to increase your revenues. Everyone has to do laundry right? You need to run the numbers though to make sure it makes sense. Is there existing space to put the laundry machines or will you need to build something which is an extra expense. You’ll also want to gauge whether or not your tenants will even use your laundry facilities. Typically if you can provide the appliances within your units, you will be able to get higher rental income. Charge for early lease terminations. I’ve also heard some investors will try to save money by doing the property management themselves. Personally I would be cautious with this as PM is absolutely crucial to the success of your investment property. Unless you have experience in marketing, maintenance, dealing with contractors, the landlord tenant act and leases, you are best to leave it to professionals. A good Property Management Company will work with you to help increase your rental income so I don’t see eliminating them as a cost savings in the long run. As you can see there are numerous ways to maximize your rental income. Regardless of which ones you implement as a property owner it must make sense and also be reasonable for your tenants. Know your tenants and understand what they can tolerate. The last thing you want is to annoy them and make them leave. If you want to know more about rental income or how real estate investing can benefit you, get in touch with us. We always like to get feedback from our readers. 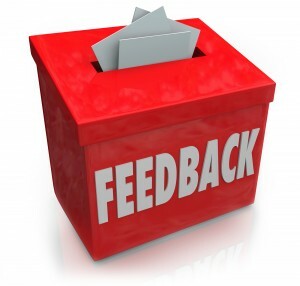 Drop us a line and let us know what you like or don’t like so we can improve your experience! !